Since 2007, we have worked with youth and community organisations around Ireland to ensure inclusion of LGBTI+ young people in services nationwide. When we first opened our doors, young people travelled for as long as 3 hours to attend our youth groups and access support services. Our National Network was set up to provide nationwide support for young LGBTI+ people closer to home. We now support almost 40 groups from Kerry to Donegal. These groups provide accepting, safe spaces for young LGBTI+ people to gather, learn, and have fun. 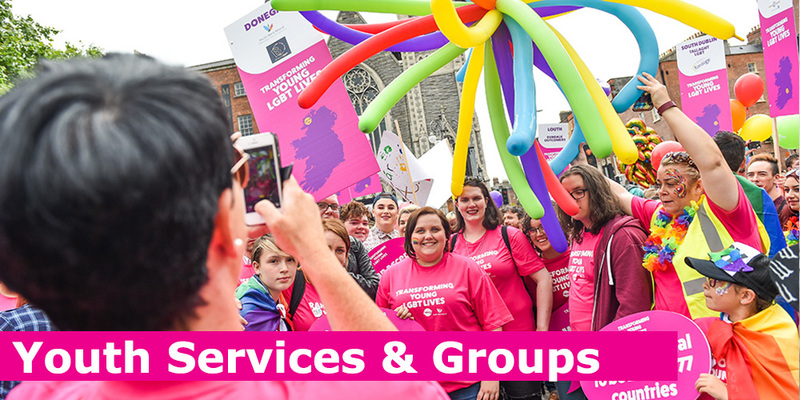 We work in partnership with Youth Work Ireland, Foróige and several community groups to ensure that their services are inclusive of the LGBTI+ community.